RUSH: The Investors.com website: “Bad News For Dem[ocrat]s: Household Income Hits All-Time High Under Trump … And He’s Getting Credit For It — A new report shows that the median household income has climbed 3% since President Trump took office.” That is astounding! Three percent median? “It’s another sign of a strong economy, and at least one poll shows the public credits Trump for the good news.” We had the Reuters poll yesterday. The Democrats have totally lost their advantage in the generic ballot predicting the outcome of the November midterms. The Republicans are now up a couple points in the generic ballot. But all of the news on the ground — the news that affects people in ways that matter most to them — is all up. It’s primarily economic, back-pocket news — back-pocket issues news — and Trump is getting credit for it. They say that Trump is dangerously impulsive, a loose cannon, and I don’t think that’s the case at all. In fact, I would argue with you that Trump has been extraordinarily patient when it comes to what he’s calling Spygate. I mean, this Spygate’s been what it is for over a year. Well, Trump has tweeted about it being a witch hunt, but he has very patiently stayed away from demanding that redacted documents be declassified and released. He has stayed away from demanding certain things that he’s constitutionally permitted to demand. It’s only yesterday and today that he start attaching potential criminal activities in this, quote, unquote, “investigation.” He has not fired Sessions. He has not fired Rosenstein. He has not fired Mueller. He waited on the IG report. He has let his detractors fire all of their best shots. Meanwhile, his poll numbers are up. Household income has hit an all-time high. Mueller’s numbers are down. CBS had this the other day. The economy is strong, taxes are down, household income is up, real wages are up. The on-the-ground politics are now in Trump’s favor, and the left is looking more and more insane with each passing day, led by people like Pelosi and Maxine Waters. You see CNN is giving Pelosi an entire town hall? Yeah. I saw the graphic on CNN. 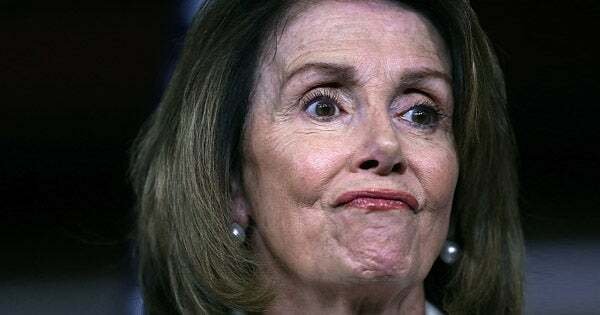 “Town Hall with Nancy Pelosi.” I’m saying, “They trust her to be sane for a whole hour, to not get her mouth all caught up and confused and stuck?” I mean, they’re taking a big risk out there. The generic ballot advantage that the Democrats had is gone.